The Shaolin Monastery is the most famous temple in China and Shaolin monks have earned a reputation for being strong fighters with fluid and strange movements. Their style of fighting astounded the first Western travelers who came in contact with them. Their amazement continued when finding that these fighters were, in fact, some “simple” monks, supporters of a non-violent lifestyle. They stayed away from the temptations of wealth accumulated by others in battle. Yet, why were they practicing the martial arts called kung fu? First of all, they had to defeat their inner selves. The first things we found placed us in front of Buddhabhadra, who came from India in 464 to preach the Buddhist teachings 1)”From Lee to Li: An A-Z guide of martial arts heroes” by Ben Stevens, book published by The Friday Project in 2009. Batuo, the Chinese called him (apparently they didn’t like to do tongue twisters with his name). He became famous and in the year 495, under his leadership, the Shaolin Temple appeared with funding provided by the Emperor 2)”The Art of Shaolin Kung Fu: The Secrets of Kung Fu for Self-Defense, Health, and Enlightenment” by Wong Kiew Kit, book published by Tuttle Publishing in 2002. 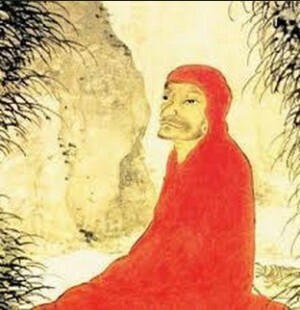 Not much is known now about the biography of Bodhidharma, everything else is a mystery. Certainly he was a great Buddhist, among the most important of those times. When he arrived at the Shaolin Temple, he was unpleasantly surprised to find some scrawny monks, only flesh and bone. He taught them a series of exercises to improve fitness and practices for inner development 4)”The Art of Shaolin Kung Fu: The Secrets of Kung Fu for Self-Defense, Health, and Enlightenment” by Wong Kiew Kit, book published by Tuttle Publishing in 2002. According to some views, these are the beginnings of Shaolin kung fu martial arts. However, Bodhidharma had great influence in what would later become the life philosophy of Shaolin monks. The Shaolin Monastery is unique, unlike all the others. Here the Chan Buddhism was formed, and then spread to different parts of the world (known in Japan and elsewhere as Zen). It became a spiritual capital, somehow as the Vatican is for Catholic Christians or Mecca for Muslims. Emperors had come here many times to pray for the people. By 600 AD, the Temple on the Mountain received, from the Chinese emperor, nearly 1,400 acres of land and that was the moment when the growth period began. As happened everywhere in those troubled times, monks went through years of peace when they were protected by the rulers of the time, but they also went through years of destruction. 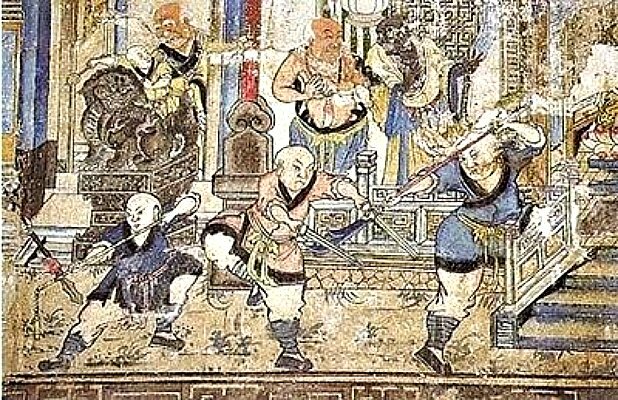 The temple was destroyed, and they were forced to flee 5)”History of the Shaolin Monks” by Kallie Szczepanski, article published in About Education. Because, often, the aid they gave in battle was forgotten, Shaolin warrior monks decided in 728 to construct some kind of monument, which they deeply engraved all the battles that they took part in as a service for the throne. They were hoping that their blood tribute would not be forgotten and their acts of bravery would be recognized by the future kings. The monument is the one good thing that has kept alive their memory until today. As expected, centuries only preserved the memories of some of their battles, but not much is known about the training that the monks went through to become so good in battle. We know that in the fifteenth century they become renowned because of the skills in battle with wooden sticks. With these sticks they were able to withstand hordes of bandits who crossed China far and wide. In the sixteenth century, there was a long period of robberies carried out by wokou – the so-called “Japanese pirates” (some historians believed that they weren’t exactly Japanese, but of some other cultural decent). Being desperate, the authorities turned to the monks. From the pages of time we find that fierce clashes took place. In no less than four historic battles, the monks withstood invaders bent on robbing, finally banishing them permanently. Through such courageous acts, Shaolin monks have become so renowned for their fighting skills, that all military experts came to them for further grooming. And sometimes, the monks found something useful to learn from them, perfecting their techniques. By the seventeenth century we find the first detailed testimony about the Shaolin monk’s talent in fighting with no weapons. Giving up their sticks that they used in combat had only made them more famous and more admired. It was the golden era of Shaolin monks. Fighting without any weapons also had a practical side – not having a weapon would not attract attention onto themselves and were no longer considered a potential threat to rulers. However, most of the time, their warrior skills made them needed in battles, as their participation in the almost non-stop fights between emperors, kings, or noble warriors alike made it favorable or not, depending on the time. If they didn’t pay with their lives in battle, they were then chased by enemies and the Shaolin Temple was destroyed. Then rebuilt in the years to come. And again destroyed. 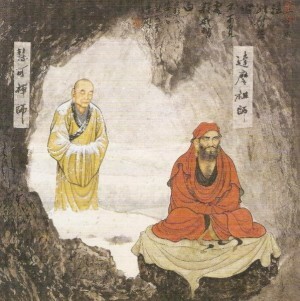 For example, in 1674, the monks saved Emperor Kangxi from the hands of some nomads who kidnapped him. But, as it happens, some officials did not see this act kindly and many monks were killed and Shaolin Temple was burned. Only in 1704 the king decided to send a gift, a parchment with his own calligraphy, which was proof that the temple was in the imperial favor 6)”History of the Shaolin Monks” by Kallie Szczepanski, article published in About Education. In the nineteenth century, the reputation of Shaolin monks began to take a seriously plunge. Some of the monks who lived in the main temple were accused of eating meat (a pleasant source of protein for muscularity) and drinking alcohol (as “men” did), which was not acceptable to some Buddhists. That might not have been so bad, especially because, as legend has it, Emperor Tang Taizong would have granted the right to these exceptions in the seventh century, as gratitude for their heroic deeds. Only that this time the charges were raised for participating in criminal groups, organizing gambling and even bargaining with women for orgies 7)”The Shaolin Monastery: History, Religion, and the Chinese Martial Arts” by Meir Shahar, book published by University of Hawaii Press in 2008. That’s what happens when you’re seen as a hotshot, but forget that what’s inside you is more important. In 1900, the Boxer Rebellion in China unfolded – a popular nationalist movement which had its violence directed against foreigners and Christians. Shaolin monks were accused of training the fighters, teaching them to fight kung fu style. It all culminated in the destruction of the Shaolin Monastery (for the nth time?!) in 1928 by a military dictator, Shi Yousan 8)”History of the Shaolin Monks” by Kallie Szczepanski, article published in About Education. After a troubled period, in 1949 the Communist regime was instituted. And how communism is atheistic by definition, there was no hope in supporting the Buddhists. Even worse, in the Cultural Revolution of 1966, the young Red Guard members started kicking the last Shaolin monks. The four who dared to remain in the temple were publicly humiliated in various ways and dragged through prisons. 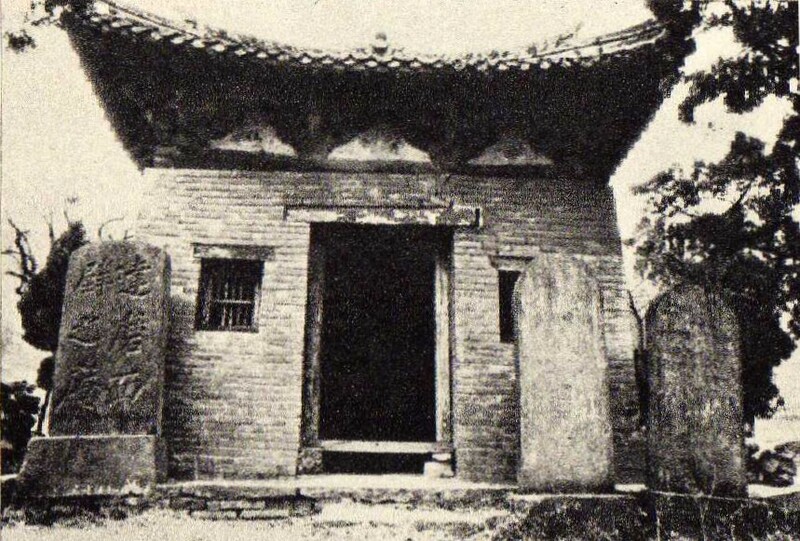 The Communists destroyed much of the temple, a tenth of which was still standing 9)”The Shaolin Workout: 28 Days to Transforming Your Body and Soul the Warrior’s Way” by Shi Yan Ming, book published by Rodale Books in 2006. This was the moment when about a millennium and half of Shaolin monk history stopped. Or didn’t it? In 1982, Jet Li made his debut on the big screen – now one of the most famous martial arts movie actors. Even the name of the movie was … “Shaolin Temple”! It was the first martial arts movie made in mainland China after the Cultural Revolution. The film was a phenomenal success in Asia, being compared with “Star Wars”. It had 50 million viewers in China. But more importantly, it made the legend of Shaolin monks rise from the ashes. Tourism in the Shaolin Monastery increased tremendously, surpassing one million visitors per year 10)”Despite Tourism and Government Control, Monastery and its Monks Have Surveived” by Gene Ching and Matthew Polly, article published in Black Belt in August, 1996. And what do you know?! Chinese authorities became more friendly. They found a way to let the Shaolin monks mind their own business. But the area became very commercial. That couldn’t be left unexploited by the government, right? The interest for kung fu exploded. It got to a stage were about 10,000 instructors were present at the same time. Martial arts has continuously been practiced in China. But when the Communists came to power in 1949, they wanted to emphasize that they only tolerated such activities as sports, and so they discouraged kung fu, promoting a new concept: wushu – which means, simply, martial arts. In 1979, the state already actively promoted wushu, considering it is beneficial for improving the physical qualities of youth 11)”Wushu (sport)” in Wikipedia. Even Jet Li is the result of this wave of practicing wushu. So the film that sparked “madness” was just icing on the cake. But the film’s association with the temple has been more than beneficial in the end. Currently, in the Shaolin Temple traditional martial arts demonstrations take place, and several teams of Shaolin monks wander the world to make shows with their amazing abilities. In fact, according to some opinions, they never reached the performance as in the late twentieth century, when interest in martial arts was at its highest. That may be so, but legendary stories about them still sound attractive. The Shaolin Temple has become a very profitable place. On one hand, this means developing and increasing the number of monks. On the other hand, many do not see kindly this mixture of spiritual life and financial affairs. Large sums of money are at stake. For example, in 2015, in Australia, the Shaolin Temple started working on building a Buddhist center devoted to martial arts and tourism. The project is worth… 380 million dollars 12)”$380m Shaolin Temple set to open in Australia with approved designs by Conybeare Morrison” by Nathan Johnson, article published in Architecture & Design on March 5, 2015. The center even has a golf field – will they hit the ball with a spear?! The changes seem spectacular. But if we stand and think, it’s just another era. Other “kings”, other political and economic interests. But as humans, at a personal level, Shaolin monks seek spiritual evolution, adapting to the situation. As always, some are doing great, others yield to human weakness. It’s called life.